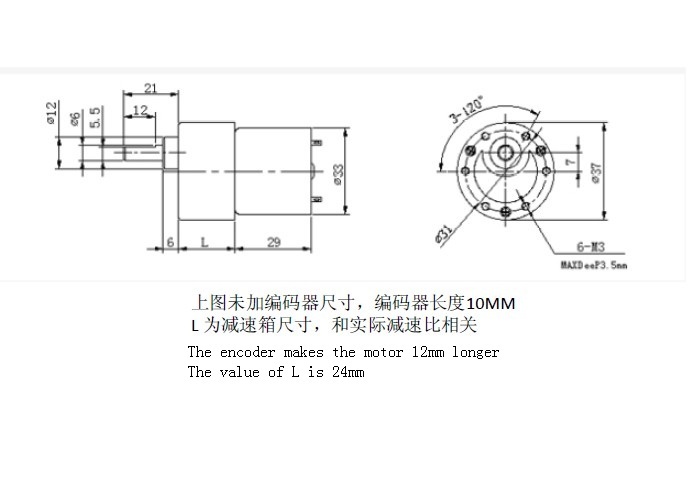 Notify me by email when DC Motor 251rpm w/Encoder 12V becomes available. 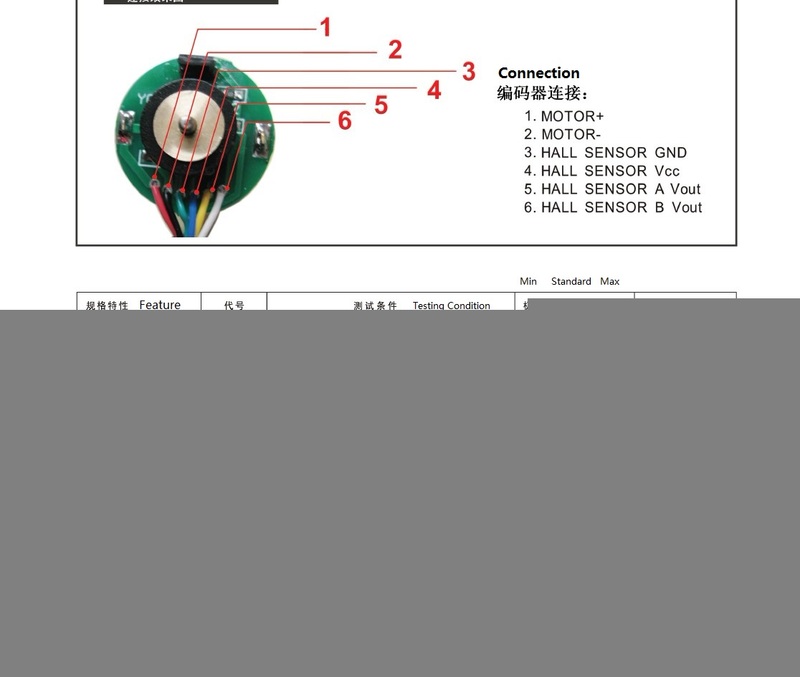 This is a Gear Motor w/Encoder, model No.GB37Y3530-12V-251R. It is a powerful 12V motor with a 43.7:1 metal gearbox and an integrated quadrature encoder that provides a resolution of 16 counts per revolution of the motor shaft, which corresponds to 700 counts per revolution of the gearbox’s output shaft. These units have a 0.61" long, 6 mm(0.24")-diameter D- shaped output shaft. This motor is intended for use at 12V, though the motor can begin rotating at voltages as low as 1V. The face plate has six mounting holes evenly spaced around the outer edge threaded for M3 screws. These mounting holes form a regular hexagon and the centers of neighboring holes are 15.5 mm(0.61") apart. This motor is an ideal option for your mobile robot project. Warning: Do not screw too far into the mounting holes as the screws can hit the gears. Manufacturer recommends screwing no further than 3mm (1/8") into the screw hole.